While Dr. Marc Dudley’s specialization is Twentieth Century American literature, with particular emphasis on Modern fiction and American culture (fiction and cultural studies of the 1910s-1950s), he splits his literary devotion to the “standard” canon with African American literature. And his interests include the writings of contemporary novelists as well, including those of Philip Roth, Caryl Philips, and Paule Marshall. Sherwood Anderson, Ernest Hemingway, Toni Morrison, F. Scott Fitzgerald, Percival Everett, Cormac McCarthy, Richard Wright, Charles Chesnutt, Flannery O’Connor, Ishmael Reed, and Zora Neale Hurston are also among his favorites. Dr. Dudley’s primary scholarly concerns are issues of race and identity as they relate to notions of Americana. His research interests also include narrative construction as it relates to ontology in African American fiction, the intersection (of narrative technique) in film and literature, and American history and popular culture of the 1920s and 1930s especially. In Hemingway, Race and Art: Bloodlines and the Color Line, Dr. Dudley investigates Ernest Hemingway’s rarely recognized, life-long interest in race. Dr. Dudley's current projects have him working with the texts of James Baldwin, Ernest Hemingway, Toni Morrison, Cormac McCarthy, and Gayl Jones. Dr. Dudley has been a frequent host and mediator of book discussions for the “Read Smart” discussion series sponsored by NCSU Libraries and the Wake County Public Library (Cameron Village). 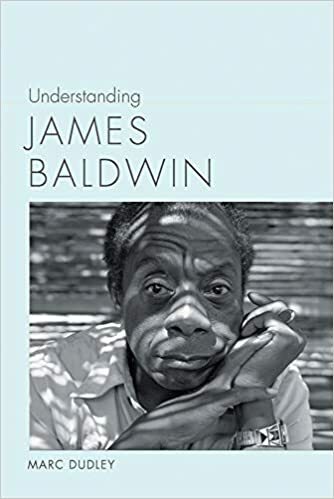 Understanding James Baldwin (University of South Carolina Press, April 2019). Hemingway, Race and Art: Bloodlines and the Color Line (Kent State University Press, 2012). Teaching Hemingway and Film. Teaching Hemingway Series, KSUP. Eds. Cam Cobb and Marc Dudley. Kent, OH: Kent State University Press, TBA (forthcoming). "Reading Between the (Color) Lines: Teaching Race in Hemingway's 'The Battler,'" Teaching Hemingway and Race. Ed. Gary Holcomb. Kent State University Press, 2018 (Fall).